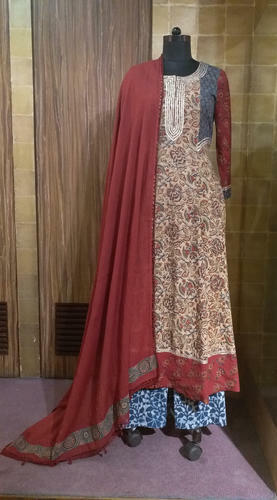 Pioneers in the industry, we offer anarkali suit, block- print cotton suit and block- print kalidar suit from India. 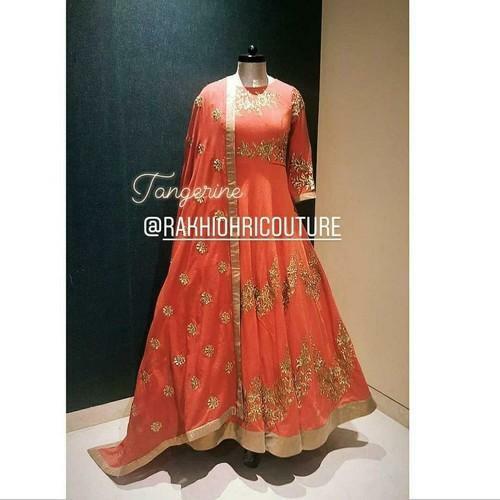 Floor length, embroidered Anarkali gown suit with full embroidered dupatta with foil edging. Cotton block-print kalidar suit with brown straight pants and kota doria dupatta. cotton block-print kalidar shirt with indigo palazzo and cotton dupatta.